The 6th edition of ISKO I-SKOOL™ unveils its protagonists. 17 are the finalists shortlisted among the many talents that presented their projects that were uploaded through ISKO I-SKOOL™ online platform. 12 of them are young fashion students coming from some of the most prestigious fashion academies in the world. 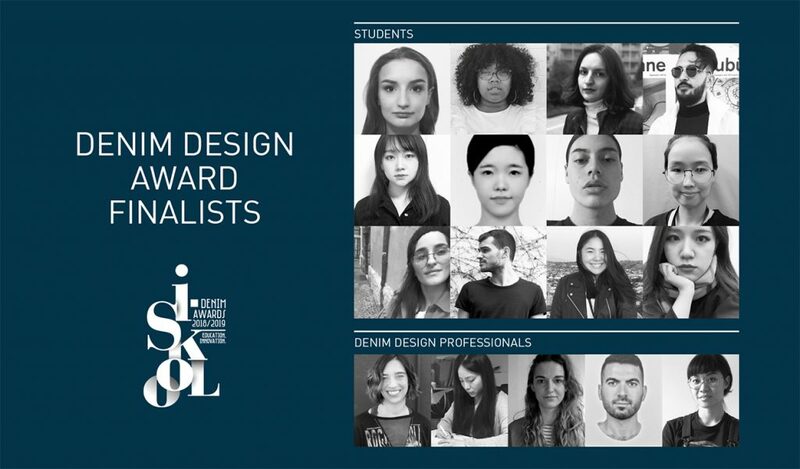 A new feature of this edition is the inclusion of 5 Denim Design Professionals in the early stages of their careers in the Denim Design Award. The 17 finalists have been selected by the ISKO I-SKOOL™ team after going through all the projects uploaded by applicants from all over the world. All participants had to present a project designing a 6-piece capsule collection inspired by the Creative Theme of the 6th edition: NEW DENIM CODES. The shortlisted candidates have now gained access to the Educational Program designed to guide them through the development of their projects, turning their ideas into real garments. Side by side with tutors, ISKO I-SKOOL™ team and partners, participants will explore the world of denim, deepening their knowledge while discovering in detail the ISKO fabrics selected to design their outfits. The first step of the Educational Program will be the Denim Seminar (March 18th-20th), a unique two-day event, that will gather all participants in Creative Room, the Italian ISKO™ specialized center for design and style research. At the seminar students and Denim Design Professionals will learn more about denim industrialization processes and techniques, while discovering in detail the brand-new Denim Educational Guide: an exclusive pamphlet conceived to help them discover history, techniques and terms of the indigo fabric world. Following the seminar, the Garment Production phase will start, leading the young talents towards the Grand Finale in July 2019, where the winners will be unveiled.